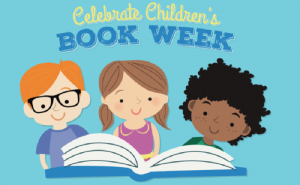 This year the theme for book week is ‘Every Child a Reader’, Book Week will run from Monday 4th March to Friday 8th March. However, to launch Book Week we will be holding a Book Fair from Thursday 28th February to Wed 6th March. At the book fair you can order books for your child to read at home and 25% of the proceeds from the sales will go to purchasing new books for the whole school. On World Book Day – Thursday 7th March – your child will dress up for this special day as his or her favourite book character. The cost of this day will be £1.00 per child payable to the office in advance. This is just one part of what will be an important and memorable week for the children, as we celebrate and enjoy books together! We hope you will also enjoy hearing about the week from your children.